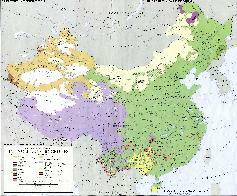 The Gelao Ethnic Minority is the -The Largest Ethnic Minority Group in China. The Gelao Ethnic Minority is found in Hunan Province and Guizhou Province. The Gelao people (also spelled Gelo) (own name: Klau, Chinese: 仡佬族 Gēlǎozú) are an ethnic group of China and Vietnam. They form one of the 56 ethnic groups officially recognized by the People's Republic of China. The Gelao language belongs to the Kradai language family. Today, only a small minority of the Gelaos still speak this language. Since the various Gelao dialects differ greatly from each other, Mandarin has been used as a lingua franca and is now the main language spoken by Gelaos. 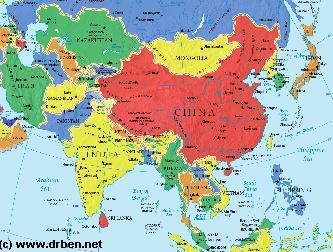 The Miao, Yi and Buyei languages are also used. Much of the traditional lifestyle of the Gelao has been forgotten, however not Gelao music. In their traditional music, the Gelao use a two-stringed fiddle with a body made from a cow horn, called the jiaohu (角胡; pinyin: jiǎohú). The Gelao traditional suits of the men consist of jacket done up to a side and long pants. The Gelao women utilize short jackets and narrow skirts divided into three parts: the head office is elaborate in red wool while the other two are of fabric bordered in black and white colors. Men and women utilize long scarves. The Gelao language does not have an alphabet. Chinese characters are used instead.